Fitted sheets are a joy to use. For those who are not familiar with them, fitted sheets are those with elastic at the ends. They’re usually so precise in size and hug the bed so nice and stay put, so that they won’t get un-tucked and shift about, gathering up in the middle of the bed when you sleep. Fitted sheets come in all sizes and are a must have for everyone including children. If you have ever tried to fold fitted sheets, then you have a good idea where the funny tweet above is coming from. Nice as they are to use, folding them could pass for one of life’s biggest mysteries if you don’t know how to go about it. It is not as straight forward as folding regular flat bedsheets and many people are tempted to just roll them into a messed up ball and throw then at the back of their closet. I know a few people who avoid them just so they won’t have to contend with folding them. But if like many women you want to enjoy the benefits of fitted sheets and you also want your bedsheets folded and stacked to perfection, you’ve got to learn how to fold them so that they stack well with your regular flat sheets and pillow cases. 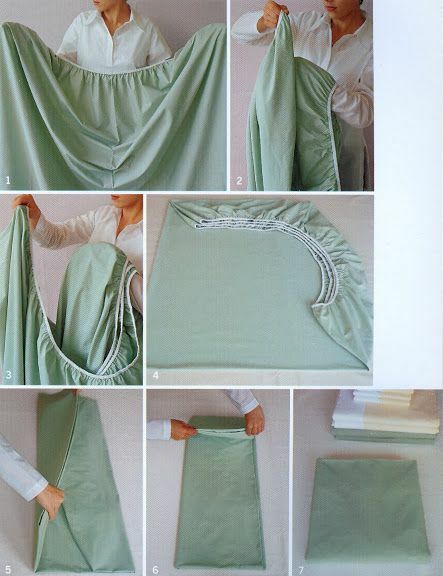 Before you give up on ever buying fitted sheets, here is how to fold them in 6 simple steps.